You know how the saying goes—April showers bring May flowers. As temperatures begin to warm up and the rain starts rolling in, we’re finally rejoicing the arrival of spring. However, you might not be rejoicing so much if your attic springs a leak or you discover moisture damage on your interior walls. The good news is that there are plenty of ways to keep the inside of your home nice and dry. We’ll show you some of the most common areas where moisture sneaks into the home and how you can prevent leaks. While windows are excellent for ventilation, they can allow drafts and moisture into the home if you aren’t careful. A lot of moisture-related issues boils down to installation and elements of the window wearing down. Improper installation can leave gaps where rainwater can easily make its way inside. Suddenly, an innocent spring shower can have you paying for repairs. 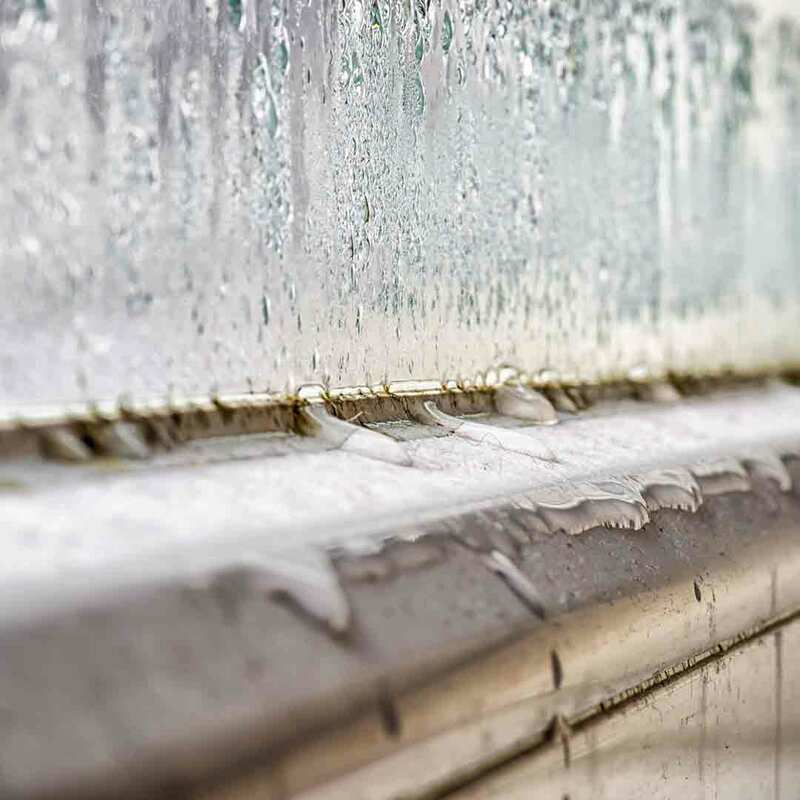 It’s important to know that a leaking window doesn’t necessarily mean that there is something wrong with the window. Sometimes this can signify structural issues with home design, such as improperly angled fascia board above the window. In the best-case scenario, leaking windows might be a maintenance issue. By simply replacing the weatherstripping or caulking, this can quickly stop moisture damage in its tracks. If old caulking turns out to be the culprit, be sure to replace with silicone caulking. This is a waterproof caulking option and will not damage from rainwater. The worst-case scenario is that the moisture damage is so severe that it damages the internal wall. This can result in wood rot if the problem goes undetected for long periods of time. To prevent moisture damage, periodically inspect weatherstripping and caulking. You’ll also want to check on the window locks to make sure they are keeping the window closed tight. Something as simple as the window coming unlocked and the sash raising can allow moisture into the home. If you suspect that there is major water damage inside of the window frame, a replacement window company can help correct the situation. A leaky roof during a rainstorm is one of the top headaches of homeownership. However, this is easy enough to happen if the conditions are just right—or wrong, depending on how you look at it. 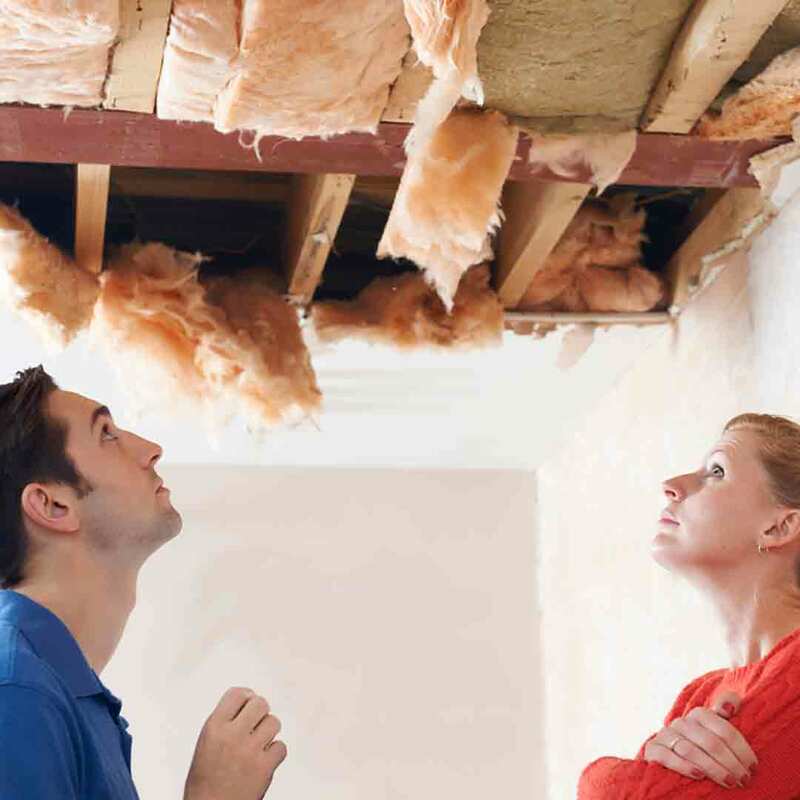 Unfortunately, a leaky roof can cost hundreds if not thousands of dollars in repair damage. Rainwater can settle on rafter beams and eventually cause rot if the problem is neglected. It can even cause damage to the flooring in the attic and eventually cause water stains on the interior ceiling. Where does rainwater enter the home through the roof? These are only some of the areas where rainwater can find its way into your home through the roof. It’s important to stay on top of the health of your roof to prevent leaks, and you can prevent leaks by doing the following. Water stains on the ceiling. These are often brown or yellow. Once you spot signs of a possible roof leak, it’s time to take action. Pushing the problem to the backburner will only result in additional moisture damage and higher repair bills. 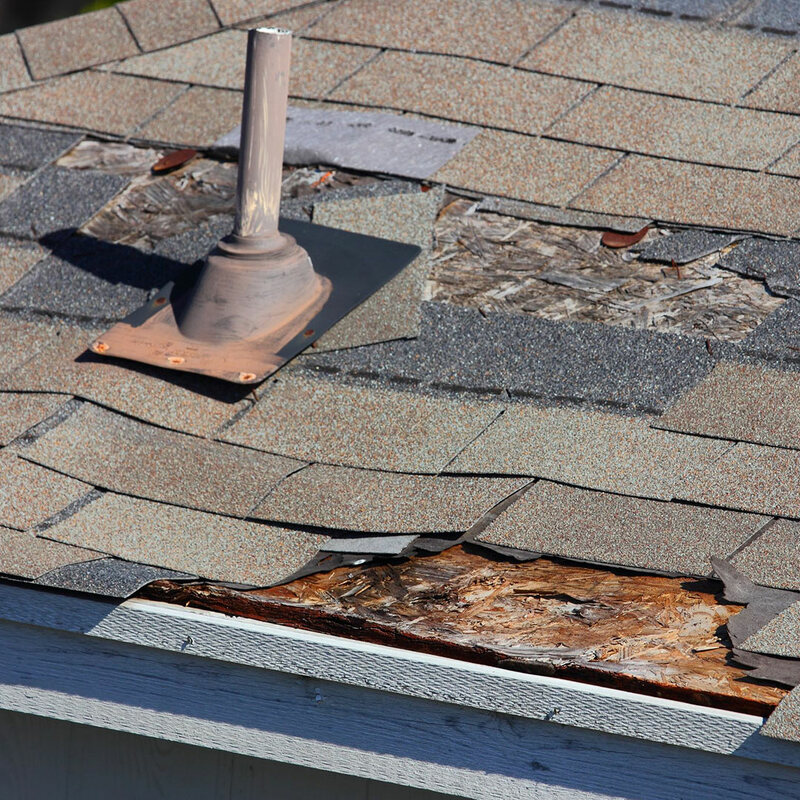 If shingles are missing on the roof, you’ll want to have these replaced as soon as possible. However, if the condition of the entire roof is deteriorating, roof replacement should be a top priority project for spring home improvement. If your roof is 25 years or older, you should also consider replacement. If rainwater is making its way through the roof vents, be sure that these are properly sealed to prevent moisture damage. An underlay material can help correct bad slopes that may be driving water under the shingles. If debris is compiling on the roof, make it a priority to remove it so it doesn’t obstruct waterflow. We don’t think about rainwater coming through our front door, but this is another area that can cause trouble with moisture damage. 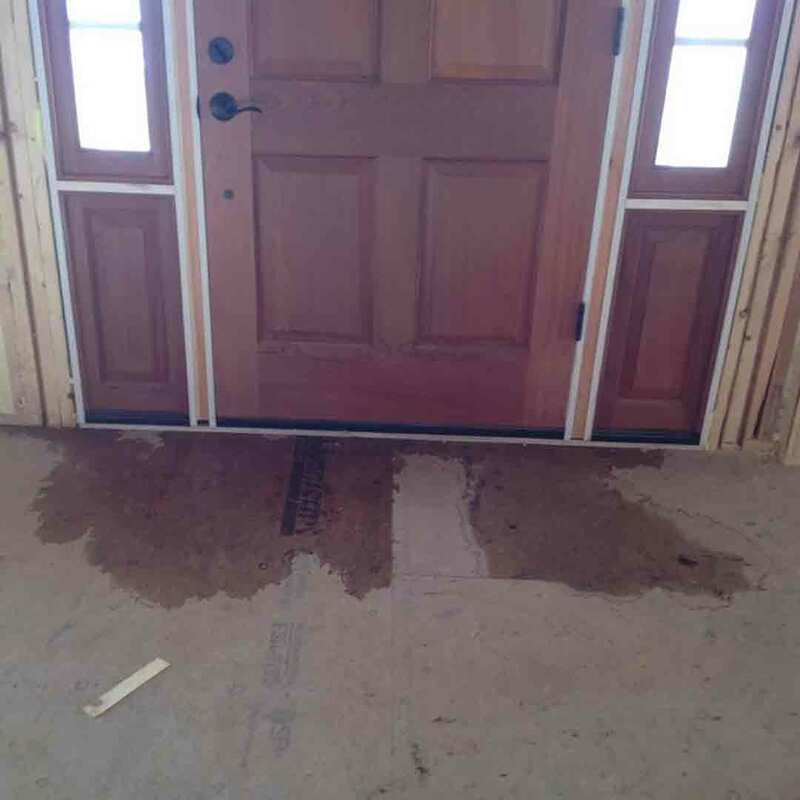 If rain is leaking through the door, you will find water in areas such as the wall, the floor, and the door itself. When the leak is coming between the seal of the door and the frame, apply new self-adhesive weatherstripping to this area to block out rain. If rain is coming through the window unit on the door, this may indicate seal failure. Depending on the warranty terms, it’s best to contact the door manufacturer concerning this problem. Replacement products can help keep the home dry through every season. If you’re having trouble with old windows, doors, roofing, and siding, UWD can provide quality replacement products at a great value.